Poll-fed uncertainty in Spain seems to have left the bond market unruffled. But that’s largely because ECB bond-buying is suppressing yields. Equity market moves suggest investors are demanding a higher cost of capital. That bodes ill for investment and growth. 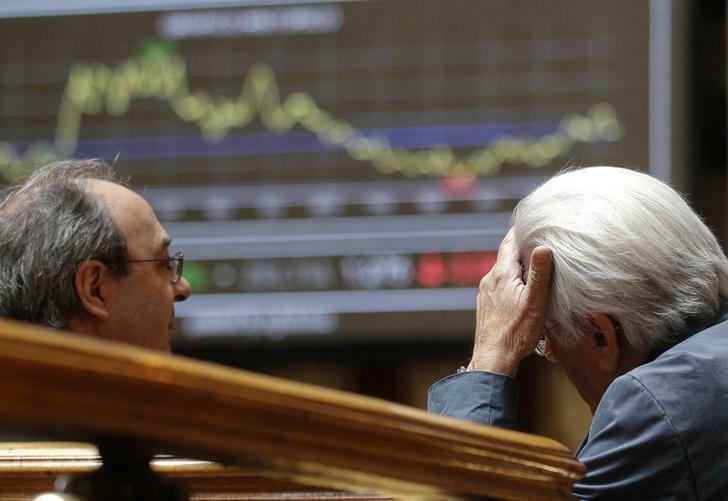 Traders talk next to electronic boards at the stock exchange in Madrid. Spain’s main equity index, the IBEX 35, fell 3.6 percent on Dec. 21 following Spain’s inconclusive general election. It recovered 0.5 percent on Dec. 22. The index has fallen 8.4 percent in 2015. Meanwhile, the yield on Spain’s 10-year bonds widened 0.1 percentage point from 1.69 percent on Dec. 18 to 1.79 percent on Dec. 22.